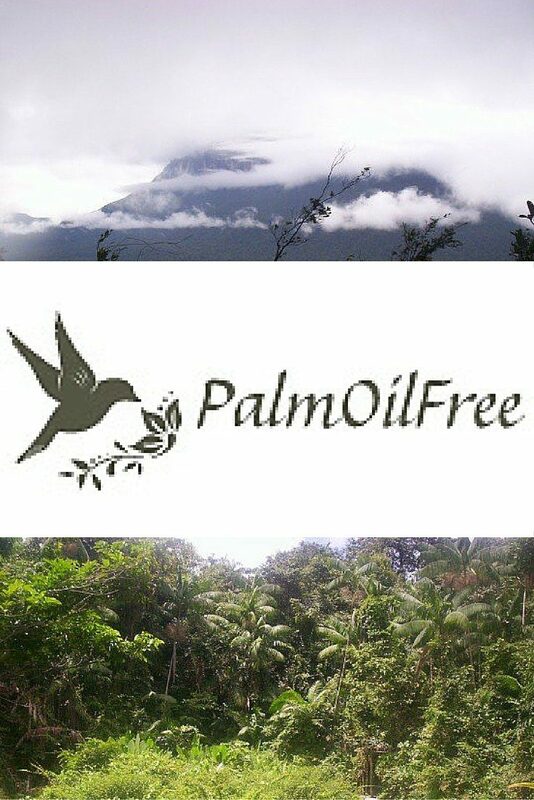 In recent months, I have been working hard listing some amazing palm oil free companies on my Shop Palm Oil Free website. 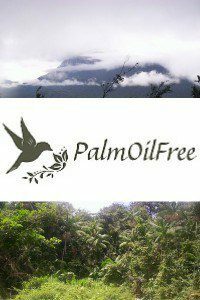 In a bid to provide them with a bit more exposure and educate people further on the issues around palm oil, I have also reviewed a few products. Initially, I had intended to keep my two sites separate and not review palm oil free products on here. However, I have been genuinely surprised at how brilliant some of these products are and I wanted to share them. So firstly, what’s the big deal with palm oil? Well to cut a long story short, palm oil is an equatorial resource, meaning that it can only be produced within ten degrees either side of the equator – where the rainforests are situated. So, palm oil producers are destroying the rainforests, setting fire to enormous areas resulting in death and destruction of plants, animals and people in the immediate area. In the wider area, the thick smog that is produced is causing more illness and death. Indigenous people being displaced from their homes to make way for the plantations are being forced to work on them for little or no pay, just to survive. But this hard-hitting video by the Rainforest Action Network explains the palm oil issue better than I ever could. If you are looking to reduce your palm oil consumption, here are four great products that are totally palm oil free. To find a plethora of others, check out Shop Palm Oil Free. This effective deodorant is made entirely from natural ingredients. 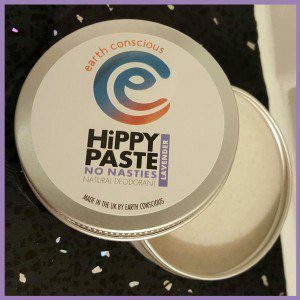 Hippy Paste is a little bit unusual in that it comes in a tin, but you soon get used to this. One daily application with your fingertips keeps you smelling great for the entire day. It has no negative impact on your skin, health or the environment. This is in direct contrast with other deodorants that are produced in a destructive manner and contain nasty chemicals that seep into your skin. PHB are the only company I’m aware of that make cosmetics that are free from palm oil as well as being vegan, natural and ethical. I reviewed their soap, but I also use their mascara and eye liner and I fully intend to buy cosmetic products exclusively from them for the foreseeable future. The Citrus Fusion Handmade Soap contains real lemons, which gives it its incredible fragrance. It is a firm, effective bar of soap that lasted us for about a month of hand-washing. My favourite thing about it aside from the scent was the fact that it held its shape with use and didn’t go all slushy on my sink. This was despite the insistent, sticky fingers of a three year old being poked into it on a daily basis. 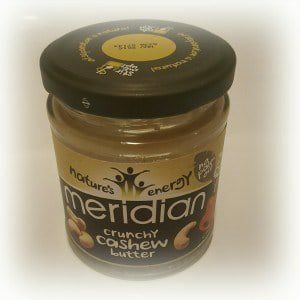 Peanut butter is quite well known for containing palm oil, with manufacturers saying that it is a necessary ingredient. In fact, Meridian have proved otherwise. Many of their nut butters contain – well, nuts. That’s it. The Crunchy Cashew Butter that I tried just contained roasted cashew nuts. Apparently, using the natural oil from the nuts instead of putting in palm oil can mean that there is a bit of oil at the top of the jar. Meridian suggest that you give it a stir or pour a bit out. 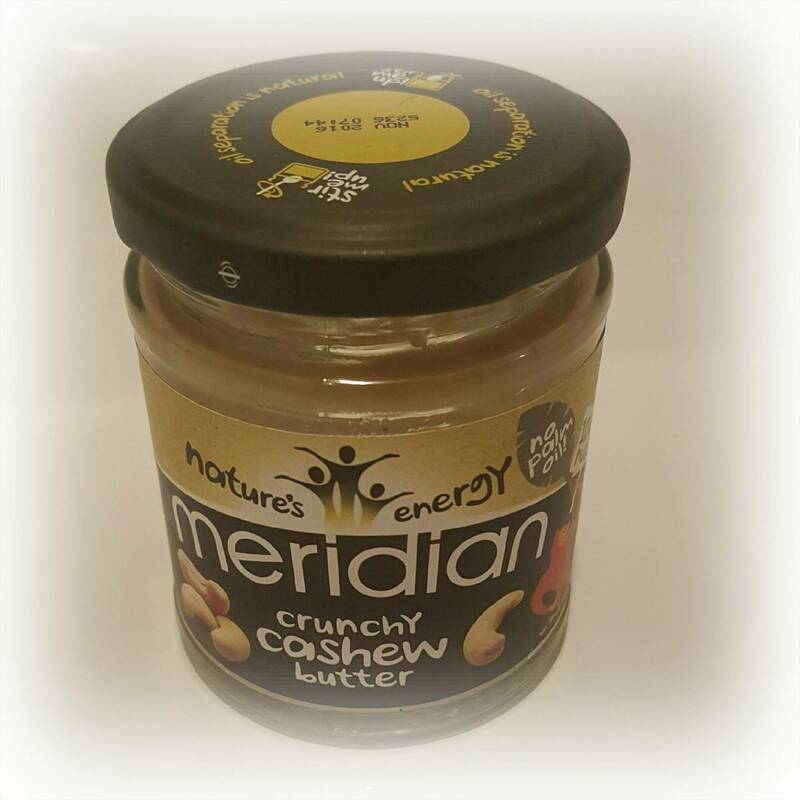 This crunchy cashew butter tastes amazing, quite a bit sweeter than peanut butter and much more healthy for its pure and simple ingredients. I’ve always thought that chocolate really should be good for you. After all, it is natural and tasty, what’s not to love? 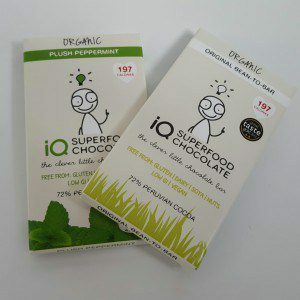 It turns out that the people at IQ chocolate thought the same – only they did something about it. Their chocolate is raw, free from palm oil and other nasties and only contains 197 calories in a small bar. And it is quite literally the best chocolate I have ever tasted. I can only describe it as being fresher and more chocolatey than any of its competitors. If you know anybody who is looking to cut down on their palm oil consumption, please do pass on the details of Shop Palm Oil Free. 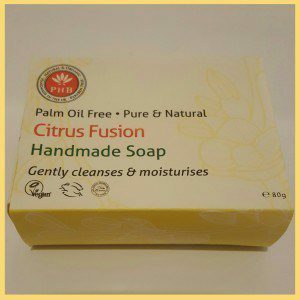 It is my aim that one day, palm oil free shopping will be as easy and as mainstream as buying items that are gluten free or vegetarian. It won’t happen overnight but I am trying to do my little bit to help.